The best and most effective fundraisers are those that are unusual and rarely seen. A college fundraiser that takes skill, effort and time to carry out will normally yield the greatest results and create the best atmosphere. One of the keys to a successful fund raiser is relevance, essentially supplying a product that people will either want or need. 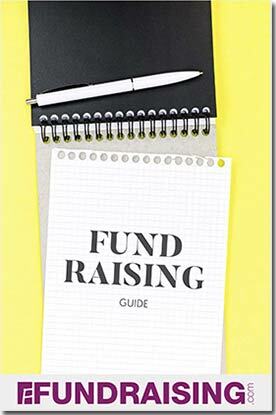 Good fundraisers should not just raise money, but also provoke interest in the school and talent in the area, in this way a fundraiser can become a part of the community and not just a business exercise. Fundraising ideas for college can vary from selling candy to candles and cookbooks to calendars as well as a thousand other variations and ideas. Many schools use door-to-door sales techniques for selling fundraising products. While this has proven effective for many groups, there are some exciting new ways to raise money without wearing holes in your shoes. Their fundraiser must be working since they’re smiling. Café Press – get a FREE web store and sell custom made (design your own) merchandise like t-shirts, hoodies, hats, etc. without having to stockpile anything. Pizza fundraiser – do you know any college students who don’t like pizza? Affinity programs – students are usually on the cutting edge of technology, why not make money from it? Magazines – no more door-to-door sales. It’s all done by email! College sports fundraising – if you’re raising money for a team, this is a must see. Bracelets – they’re hip and they’re cheap and they sell fast. Rubber duck race – fun college competition.